Lorenzo Baldissera Tiepolo is the youngest of my narrators in The Merchants of Light. 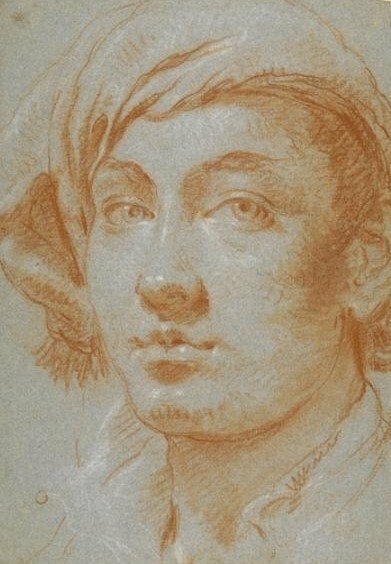 In real life he was the youngest Tiepolo, born in Venice in 1736 when his mother Cecilia Guardi Tiepolo was 34 and his father, Giambattista Tiepolo, was 40. His middle name, which (in my novel) makes it impossible for him to write his signature in the snow “even with a full bladder”, may have been adopted from a noble family who had close ties to the Tiepolos. 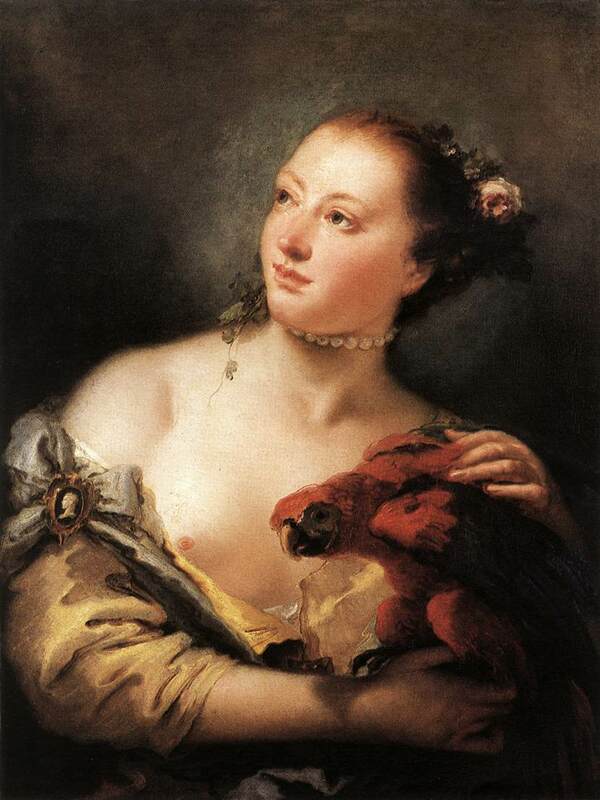 Lorenzo was born at a good moment in Tiepolo history. He grew up in prosperous circumstances, surrounded by his six siblings at a time when his father was at the height of his fame and productivity. 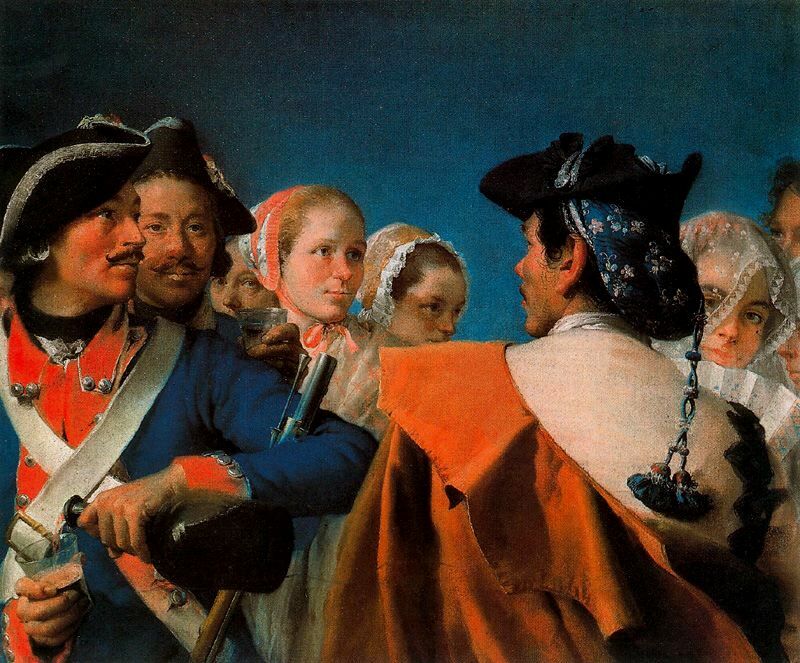 His oldest brother Domenico, nine years his senior, was set to follow Tiepolo into the family business. 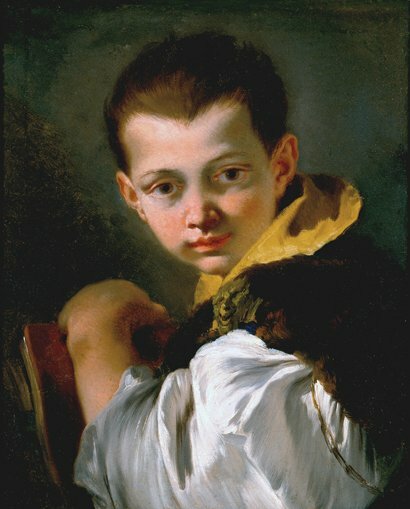 Lorenzo eventually did the same, serving his apprenticeship in his father’s busy studio and eventually becoming the third member of the famous family painting team. In 1750 Tiepolo accepted a commission from the Bavarian Prince-Bishop von Grieffenklau to fresco the cupola of the throne room in his palace at Würzburg, called the Residence. Lorenzo, then 13, accompanied his father and brother on the long, perilous coach journey from Venice to Würzburg, where they would remain for three years, painting the cupola as planned and winning a further commission to paint the vast Staircase Hall. These are the same frescos nearly destroyed by Allied bombing and later rescued by Monuments Man John D. Skilton in the aftermath of World War II. The Residence is now a UNESCO World Heritage Site. The Tiepolos returned to Venice in 1753, enriched with the Prince-Bishop’s gold and raring to resume their position as the city’s premier painting clan. Tiepolo, who seems to have disliked travel, would certainly have been happy to stay there for the rest of his life. The new king of Spain, Charles III, had other ideas. In 1762 the Bourbon monarch summoned Tiepolo to his newly established court in Madrid, a royal command he was compelled by the Venetian government to obey. Lorenzo and Domenico formed part of the package and so, reluctantly, the three Tiepolos set off to work for the Spanish king. In Madrid the family earned a reputation for working at lightening speed, frescoing whole rooms in the time other painters took to set up their scaffolding. 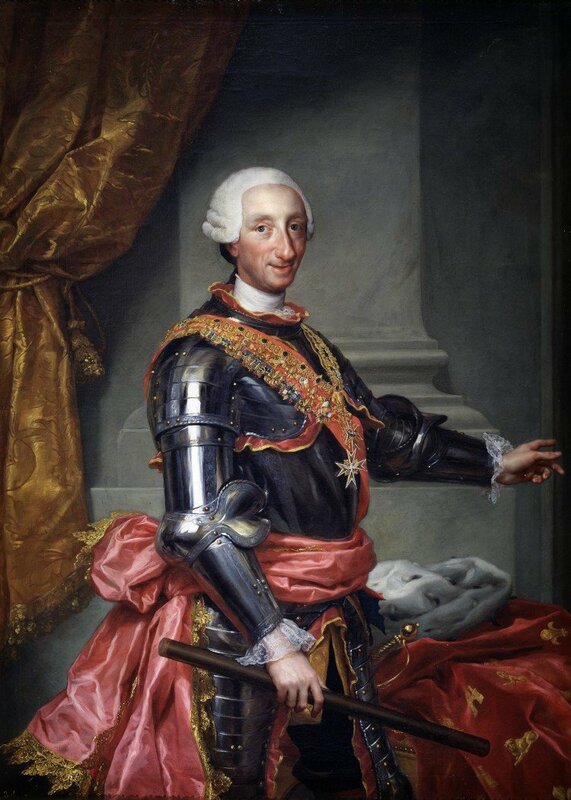 Laboring at the side of his father and brother, Lorenzo decorated many rooms in Madrid’s Royal Palace, including the Throne Room. Meanwhile, Tiepolo executed a number of grand altarpieces and all three Tiepolos painted royal portraits. It’s likely that Domenico and Tiepolo both taught in Madrid, possibly influencing a young Francisco Goya. It’s not known if Lorenzo gave art classes while living in the Spanish capital. What is known is that he fell in love with the daughter of a Genoese bookseller, Maria Corradi. His relationship with her must have been a factor in his decision to stay in Madrid following the sudden death of Tiepolo in 1770. 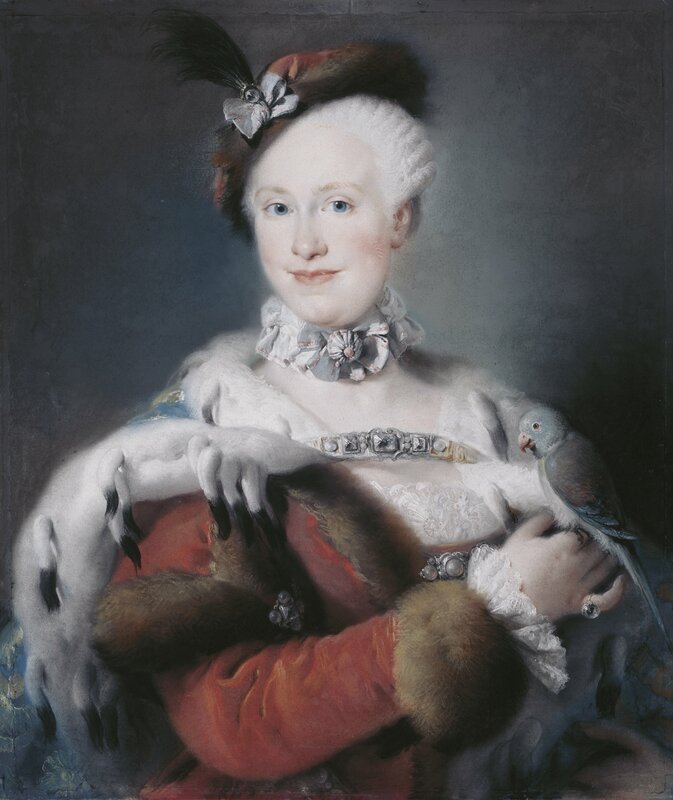 While Domenico raced home to Venice as soon as he could, Lorenzo remained in the Spanish capital and married Maria in 1772. On his own for the first time in his artistic life, Lorenzo set about establishing a solo career, with mixed success. While he did secure several royal portrait commissions, he failed in his bid to win a place as a court painter. Nonetheless, he distinguished himself as a pastellist and was instrumental in popularizing this medium in Spain. 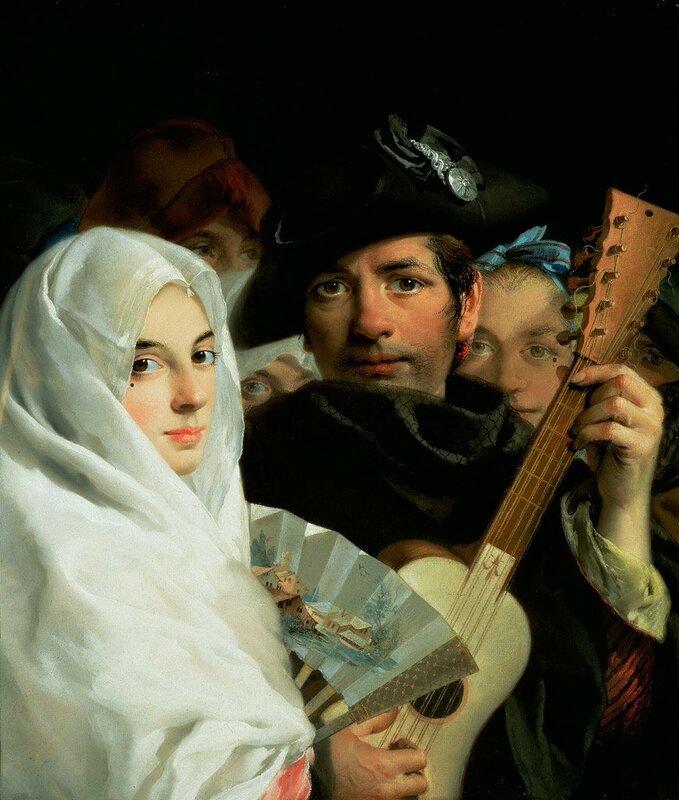 He produced a notable series of drawings of street vendors and colourful Spanish “types” as well as many etchings, primarily reproductions of works by Tiepolo. Sadly, the painter’s son who started life under such auspicious circumstances was to end it quite differently. Plagued by debt, prone to living beyond his means, Lorenzo fell ill and died in 1776, just six years following the death of his father, in the same year as his mother. For many years considered to be little more than an assistant to his more famous father and brother, Lorenzo Tiepolo is now recgonized as an important artist in his own right. The largest collection of his work is held by Spain’s cultural heritage body, the Patrimonio Nacional.